Nicholas Ducote is the co-founder of Homeschoolers Anonymous. He grew up in a homeschool family immersed in an array of local, state, and national homeschooling movements – namely CHEF of Louisiana in elementary and ATI in middle school and high school. After high school, he worked at Bobby Jindal’s congressional office. He attended his first Communicators for Christ conference (CFC) in 2003, and credits homeschool speech and debate for kindling his passion for teaching. This passion inspired him to share the values of inquiry and critical thinking. 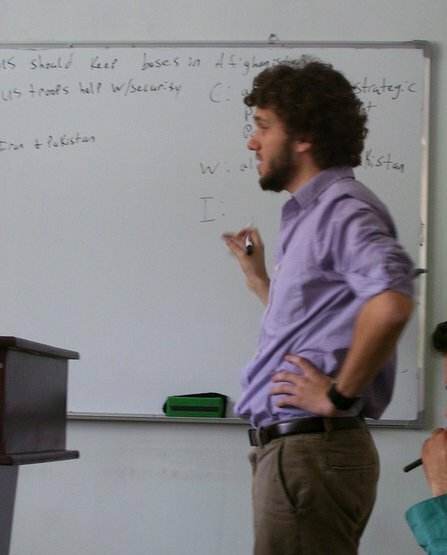 He toured with CFC from 2006-2007 and, in college, he taught debate in Jordan and Afghanistan – helping to organize the first internationally-sanctioned debate tournament in Kabul. He had a fellowship with the National Center for Policy Analysis, a free market think tank in 2009, and spent the summer in Washington, D.C. Nicholas received his Bachelor of Arts in Political Science and his Master of Arts in History from Louisiana Tech University. Bonnie grew up in New Orleans – in fact, just down the street from Nick Ducote. Her family was active in ATI, CHEF of Louisiana, and CFC/NCFCA speech and debate. She graduated from Louisiana State University with a B.A. in Music Arts and now works in marketing in New Orleans. A jack-of-all-trades, Bonnie can do a little bit of everything: writing press releases and website content, graphic design and business development. Her interests include fashion, food, friends, and fun alliterations. In her free time, you can probably find her grooving to live music, singing with her band, playing with her hula hoops, or pretending to be an iron chef in the kitchen. Giselle Palmer attended private school during kindergarten in New Hampshire and first grade in Virginia. Because of her family’s frequent moves, she began homeschooling in Alabama in 1985. Other than a few months of sixth grade and her eighth grade year (both in private schools), Giselle continued to be homeschooled in Alabama, Florida, and Tennessee until graduating in 1996. She was part of the ATI program beginning in ninth grade and continuing past graduation until she began college at the age of 21. Giselle has an Associate of Science Degree from Chattanooga State, a Bachelor of Science in Human Development from Lee University, and a Masters of Education from the University of Tennessee at Chattanooga. 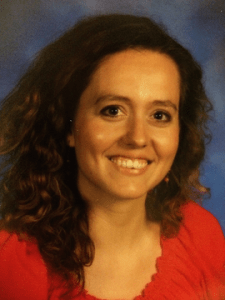 She has been teaching in the public school system since 2005, and has taught at two different magnet schools in Tennessee. She is currently working in a low-income neighborhood teaching a group of adorable, hardworking, and enthusiastic students who truly believe that education is the key to a successful future. Shade was homeschooled their kindergarten years and their senior year of high school. Up until 8th grade, they and their four siblings attended various small IFB church schools that were heavily linked to Gothard, ATI, and Jack Hyles. From 8-11th grades, they attended public schools. Shade was also a stay-at-home daughter until they managed to leave home. About 3 years ago, they started writing about all of the things that were wrong with the system they were raised in, and the list is immense. Their goal now is to tell the truth and make safe spaces for survivors to find caring, support, healing. Shade currently writes at theunsparedrod.wordpress.com.